There’s nothing better after a long day at the office than being invited over for dinner at a friend’s house. No, wait, I lie. The only thing that’s better is being invited over for dinner at a friend’s house and being served Pie! * And after having to WAIT all week for the pie (having had a tip off earlier in the week that it would be pie we were having for dinner), good things certainly came to those who wait(ed). p.s. please do excuse Mark's girly pink table cloth! *Okay, so admittedly there are plenty of things better than eating pie in the world, but for the sake of this blog, I’m going to stick with what I put. Makes it sound better that way! continue reading "Good things come to those who wait"
continue reading "Put a Lid on it." Bad and pie are two words that just don't sound right together. It seems like a bit of an oxymoron, a contradiction in terms because pie is generally... well, good. Our regular readers will have noticed that there aren't a lot of pies scoring less than 50% of the available 7 points. The reason is it's as easy as pie to make a good pie. While pastry is hard to master it is difficult to make it taste awful, I know, I've given it my best sh ot. Gravy is great, everyone loves it, how can you make a simple mixture of fat, salt and water taste bad? Getting good meat in the filling is where a pie might often fall down but many pies do in fact have poor quality meat and don't fall into the dreaded 'bad pie' category. I've gone for some pies without a meatylicious filling such as lentil pie and even the absence of meat hasn't made the pie taste bad. So when I saw a box of 4 Quorn deep filled mince and onion pies I thought I would take one for the team and give it a go. It is our duty to try as many pies as we can. Plus, I actually like Quorn mince. Upon opening the box I realised that the pies were rather microscopic. They were about half the size of a 'regular' pie, see this one here next to an ordinary size lollypop. They were also an unusually white colour. I put two in the oven to make up for the size which was a terrible mistake. Taking them out after the standard 30 minutes the appearance did not seem to have improved. There was no lovely golden colour as shown by the box, with the top still looking quite pale and the bottom a bit grey and soggy. They completely fell apart when I tried to cut them, the box is such a lie! But what about the eating? The pastry was gooey and crispy in completely the wrong proportions, in my view. The top was very flaky and seemed more like filo pastry that puff pastry. It tasted of nothing. I also found the bottom to be slimy and gross. The capacity was absolutely tiny but somehow they still weren't able to fill it with content. Deep filled????? Don't make me sick on my own scorn. The worst part was the gravy, to me it tasted like someone had washed up a gravy jug and recycled the water from the washing up bowl as the content for these pies. 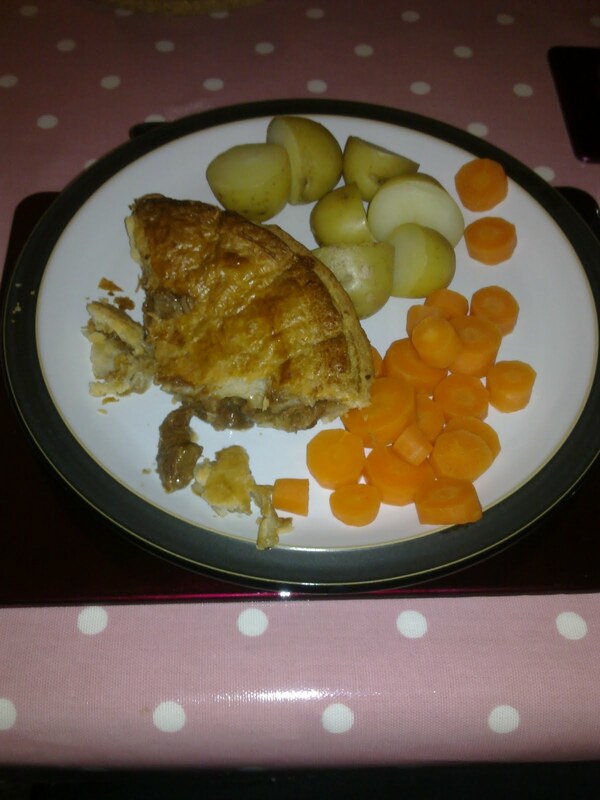 Perhaps surprisingly, the Quorn itself was the best part of the pie, fairly meaty considering it has no meat in it. After a while this completely put me off my food, the rest of my dinner is still in the fridge. The main problem is there were four in the box, how do I get rid of them??? continue reading "A Quorny pie review." 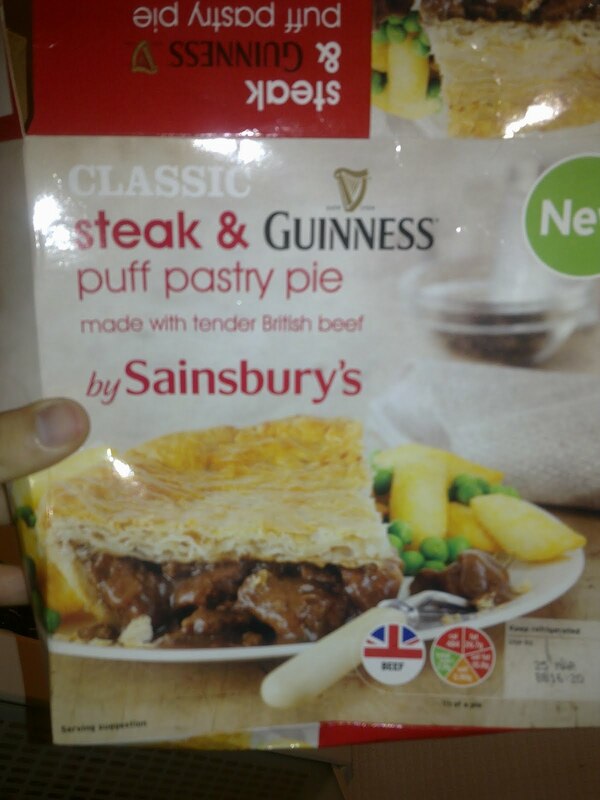 continue reading "Make no Mistake, I Ate the Great Ultimate Steak Pie"
continue reading "The 4 minute pie? Surely it's not possible!" continue reading "Homemade Pies FTW"
continue reading "The Pie's the Limit"
continue reading "It's the first day of Lent-il Pies"
continue reading "British Pie Week: "Gotta pick a pukka or two...""
continue reading "Does the Half Moon Cafe deliver astronomical pies?" continue reading "Frozen pie receives warm reception"